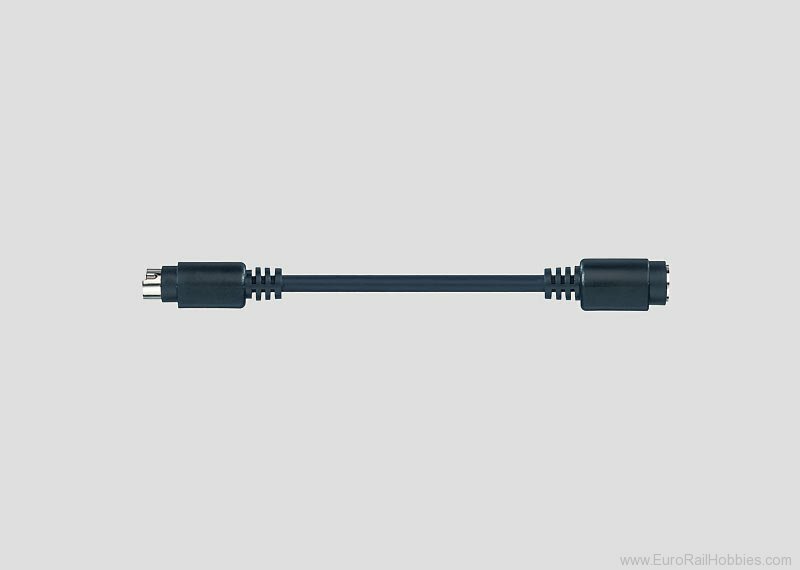 Marklin 60124 HO 2nd Mobile Station Adapter Cable i.e. Replaces former Adapter # 610479. This is a 10 pin to 7 pin adapter cable for connecting the 60653 Mobile Station, the 60652 Mobile Stat, and the Trix 66950 Mobile Station to the 60125 Terminal and a 3rd Mobile Station to the 60213-60215 Central Stations. This cable can still be used to connect a 2nd Mobile Station 60652 to the 24088 feeder track or to the 60115 Connector Box (HO) or in 1 Gauge the 60111.